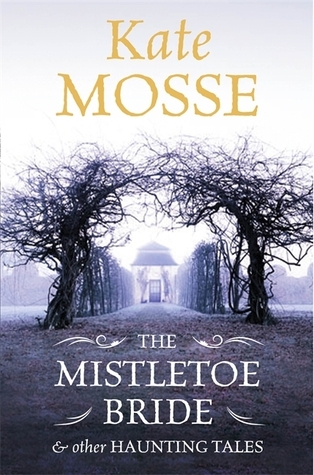 The Mistletoe Bride and Other Haunting Tales is a collection of ghostly and supernatural stories by Kate Mosse, set mostly in France or Sussex, area of the world that she knows very well and which have featured in her other works. Creepy stories are ideal for this time of year. Plus I have a number of her books (not read) and had previously picked up and enjoyed The Winter Ghosts. I really enjoyed this collection of quite gentle stories. They aren’t particularly gruesome and not really frightening, but they are very traditional, often about premonitions or the settling of old scores before a departed person can find peace or slippage into the past when visiting a historical setting (as in the title story). My favourite is probably The Revenant, set in the Fishbourne Marshes in 1955; a mysterious female figure appears to our heroine in the marshes seeking a form of justice for a crime which took place during the war. Very atmospheric. I particularly enjoyed the stories set in Sussex as that’s the county where the Book God was born and I know enough of it for some of the places to be recognisable. One of the particular pleasures of the book is the author’s note for each story, giving some background on place or inspiration, especially interesting for those stories based on folklore. I had planned to read a story a day and pace the book out over the run up to Christmas but got through them much more quickly than that, which should say something about the pleasures of reading these well-written tales.